It is normal to be super excited when you’re about to move into your new place. However, you should remember that this will be your new place where you’ll be living some time. Therefore, you need to check and know the things you need to consider before moving in. But before everything else, you’ll surely do a cleanup drive. 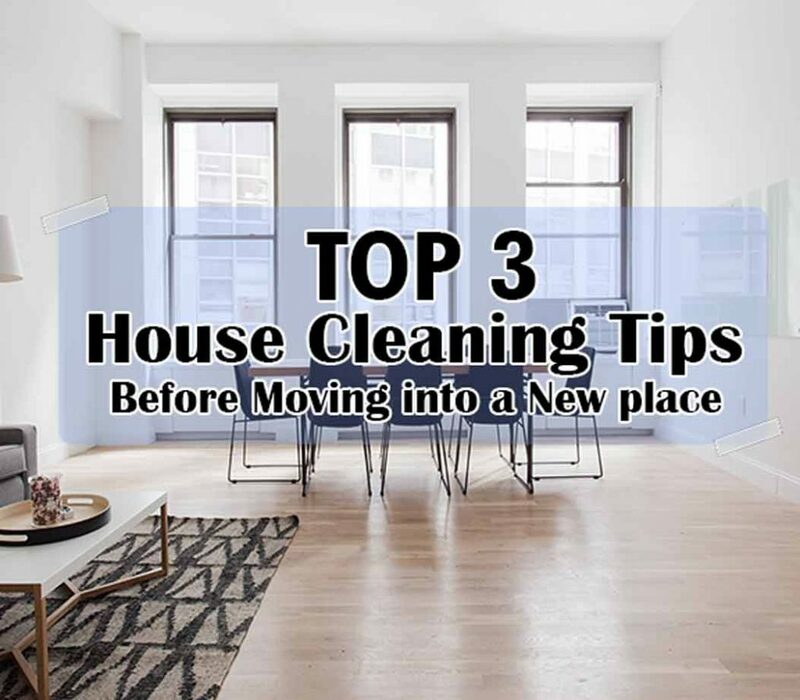 So, it is better to learn what are the top house cleaning tips that professional suggest you do before you move into your new place. It would be frustrating if you find out that someone else has the keys to your home, right? So, before moving all your stuff in your new place, make sure to change all the locks on the door. By doing this, you would feel more at peace and secure knowing that no one else has the keys to your new place. Get a lock with you and install it immediately. And if you don’t know how to do so, ask help from the expert. Before you move all your stuff to your new place, make sure to conduct a thorough cleaning. Yes, regardless of whether the floor is a rug, carpeted or tiled, you should dedicate time to clean your entire abode. Clean all the windows, storage spaces, and the wall. Make sure to first clean the bathroom as it holds the most bacteria in the house. Yes, this is one of top house cleaning tips that expert advice. Bathrooms are most likely the first area you’re going to use in your new place. However, if the house is newly constructed, you might not have to clean as much as you would think of. But if it was previously occupied by someone else, it could be easier to clean if there is no other thing around. So better move your items only if you’ve done the cleaning. Also, remember that you don’t need to do this yourself. You can always ask for a professional vacate cleaning services to clean your abode. And additional house cleaning tips, make sure not to forget the light fixtures, doorknobs and ceiling fans. Wipe them thoroughly and don’t let bacteria spread to your new house. Keep things clean first and ensure a safety and healthy place. Disinfected them all, or even change them if possible before you move out. Before moving into your new place, one of the top house cleaning tips you need to do is to check and measure the rooms of your new house. Walk throughout all the rooms and this will help you decide how you want them to function. And you can also visualise your belongings which one will be placed where. Also, before you settle in, you might also want to get acquainted with your new neighbourhood. Take a little walk around your neighbourhood and be familiar with the place. You don’t need to hurry in moving into your new house. All you need to do is set aside enough time to do what is important by checking all the things you need to consider before you move. Above house cleaning tips could help you figure out the things you need to do before moving. Yes, you should plan and organise things before your moving day. However, if it is impossible for you to clean your new house before moving, then try to hire a move in move out cleaning service or an apartment cleaning service that could cater your needs. Check which one is the best before you select. Still looking for more Cleaning Services? Maid in Perth is here to help. No matter how exhausting the cleaning job is, we’ll surely give you a hand! Check our website and learn about our variety of services. And also, if you got an apartment that has all the dirt in the world, find the right cleaner to do the dirty job for you! Read How to Find the Right Apartment Cleaning Perth Company and your apartment will be as good as new with these guides! This entry was posted in House Cleaning and tagged house cleaning services, house cleaning services in perth, house cleaning tips, Maid in Perth.